Oh my goodness. This weekend I read a couple of books I wanted to record for my 2014 favourites list. And when I opened my Blogger account, I realized I had never completed and posted my 2013 list! Here it is at last! All ready to go, and just waiting there, in the interwebs, alone and unloved. 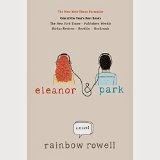 and Rainbow Rowell for Eleanor and Park. These two books actually made me realize that the teen-age-outsider-romance genre is offically over-mined. The books can be cute and readable. Most YA fiction is strong on plot and character, and goes down easily, but, like hamburgers compared to filet, often wolfed in a hurry; cheap, but even at the price still too many calories for the nourishment provided. Back When We Were Grown-ups. 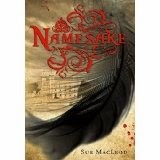 and, Namesake by Sue McLeod (in YA, from Pajama Press, a little starlet of Canadian publishing). 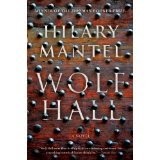 All great books that make this list. Laika by Nick Abadzis, from 1st Second–possibly the best graphic publishing house on earth. Laika is a fictionalized, graphicized version of the Soviet space program sending Laika the dog into space. Real characters and timelines. Graphic images that brought an extra dimension to the story that words could not. Not exactly beautiful, but SENSATIONAL. 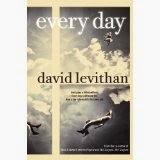 I cried through most of the book. My kids cried through most of the book. 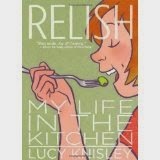 Relish by Lucy Knisley is the second graphic memoir by Knisley. I also enjoyed her first, French Milk, and I have actually been reading graphic memoirs, and feel ready to judge among them. 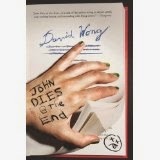 Her works are deft and engaging and suitable for the treatment. I must mention that in my hall of fame as the one of best graphic works ever and best graphic memoir in particular, is Marisa Acocella's Cancer Vixen. So harsh and funny. And heart-breaking and funny. And gross and funny. 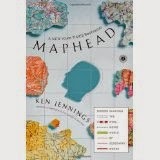 Staying with memoirs, one of my real favourite reads of this year, altho it took two tries to get it going, was Maphead: Charting the Wide, Weird World of Geography Wonks, by Ken Jennings. He is the guy who at one point had won the most money ever on Jeopardy. (Should I mention that my scrabble-master spouse and I have a secret plan, if we ever need money fast, that we will go to California, and he will go on Wheel of Fortune, and I will go on Jeopardy? No, uh, best keep it secret. Never mind. You remember nothing! *Waves hands spookily*) Jennings was also chosen to play against IBM's computer, Watson, and I realized that I really liked him when underneath his response during Final Jeopardy he wrote on his screen "I for one welcome our new computer overlords". In any case, as a slight geography wonk myself (surprised?) 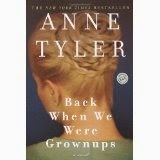 I loved reading all the way people indulge this passion, and I find myself relating stories from the book quite often. His writing style is so engaging, and he is so smart, but also so keyed to pop culture, that it was one of those reading experiences that are like talking to a great friend. 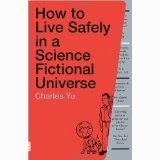 Charles Yu's How to Live Safely in a Science Fictional Universe, a super-fun story about how it is grammar which defines past and future, and therefore time travel is all about altering grammatical settings! Wow! Fun! I know, right? Love it! 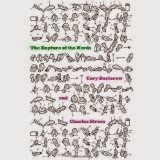 Corey Doctorow's The Rapture of the Nerds:A tale of the singularity, posthumanity, and awkward social situations. I did abandon this book part way through. Love him so much I might get back to it. 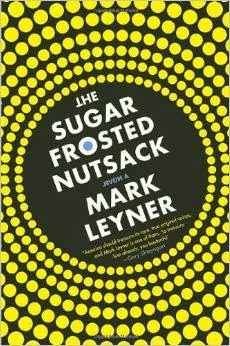 Mark Leynor's Sugar Frosted Nutsack: A Novel. Just about unreadable. I did read it all. Apparently also coming as a major motion picture. Or something. And that's it. The year that was. 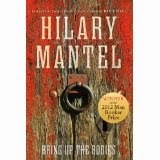 The marigold does wonder nervously if all reading will become graphic at some point...? I would rather be offended than bored.